I believe in the Holy Spirit, the Third Person of the Trinity. The Holy Spirit is a person, and should be treated with the respect of a divine person. He is a member of the Trinity, equal to God the Father and God the Son. I am not saying there are three gods, but three divine persons who are also one. “Hear, O Israel: The LORD our God, the LORD is one” (Deut. 6:4). The unbelieving world will not believe this great Biblical truth because it cannot. “It neither sees Him nor knows Him,” Jesus said. “But you know Him, for He lives with you and will be in you” (John 14:18). Jesus promised His disciples “another Comforter to be with you forever—the Spirit of truth” (v. 16). Another divine person was being sent to continue the work of the Kingdom of God. Jesus was not sending a thing, but another divine person, a member of the Godhead. The divine personality of the Holy Spirit is observed in His actions. He is promised as a Counselor, Helper or the Encouraging One for believers. He gives His gifts to build up the body of Christ (John 14:16-18; 1 Cor. 12:11). 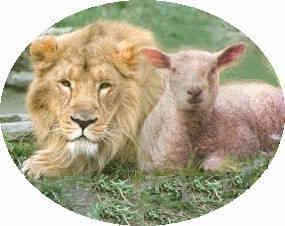 He is another Counselor of the “same kind.” He is another divine being doing the will of the Father just like Jesus. He lives with Christians and in them. He is equal to the Father and the Son. The Holy Spirit has the same divine attributes as the Father and the Son. He is “holy,” omniscient, omnipotent, omnipresent just like the Father and the Son (1 Cor. 2:10-11; Jn. 16:12-13; Lk. 1:35; Ps.139:7-10). The Holy Spirit does works that are exclusive of God. He is creator, imparts life, gives spiritual birth, gave the inspired Word of God, the Bible, and equips believers with spiritual gifts (Job 26:13; 33:4; John 3:5-6; Rom. 8:11; 2 Pet. 1:21). It is not a spiritual force or power that gives gifts. Only a person can do that. The Holy Spirit has a distinct personality from the Father and the Son. Jesus said of Him, “When the Counselor comes, whom I will send to you from the Father, the Spirit of truth who goes out from the Father, He will testify about me” (John 15:26). The Spirit is ranked coordinate with God the Father and God the Son. He is equal in power and deity. “The grace of the Lord Jesus Christ, and the love of God, and the fellowship of the Holy Spirit be with you all” (2 Cor. 13:14). We are commanded, “Go and make disciples of all nations, baptizing them in the name of the Father and of the Son and of the Holy Spirit” (Matt. 28:19). He is given a personal name. Peter said, “Ananias, how is it that Satan has so filled your heart that you have lied to the Holy Spirit?” (Acts 5:3). Holy Spirit is His name, and He is God. “You have not lied unto men, but unto God” (v. 4). The sin against the Holy Spirit is an offense against a divine personality, and it has eternal consequences (Matt. 12:31-32). The Holy Spirit is a real person whose work is to get hold of our lives and use us to the glory of God. As long as we think of Him as a mysterious power, or influence our thoughts will be to get more of the Holy Spirit, and we will be filled with self-exaltation and self-pride. When we think of Him as a Divine Person, a member of the Trinity, we are occupied with how He can have more of me. How can I make myself available to Him to glorify the Father and be used in the Kingdom of God? We honor the Holy Spirit by recognizing and relying upon His work in our lives, in our churches and in reach8iang the lost world. When we ignore Him, we Him and disobey Him we dishonor the Godhead. Our attitude and response to the Word of God honors or dishonors the Holy Spirit who is its Author. Being "filled with the Spirit" means to obey Him and be in submission to Him. When we are under His control we bring honor and glory to the Lord God.